What we have here are two Japanese baseball tickets. 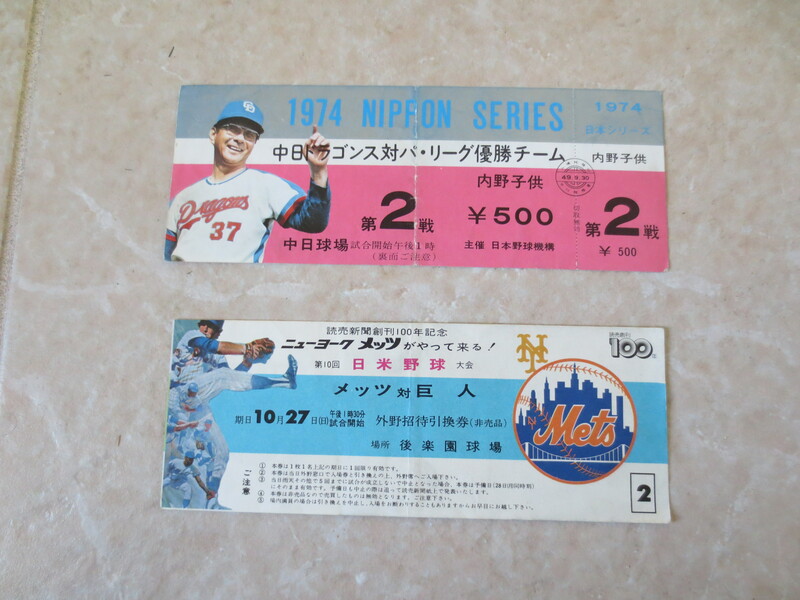 The first says 1974 Nippon Series and the second has the Mets insignia on it. 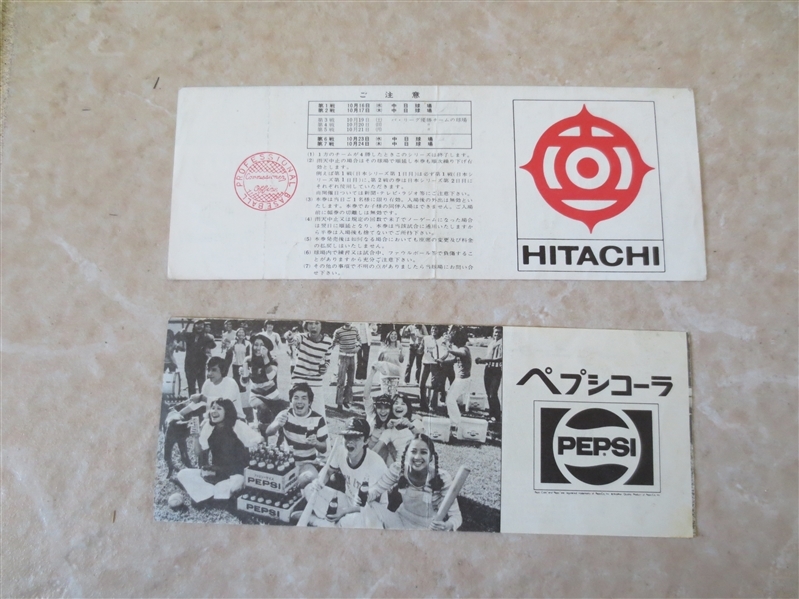 Both are written in Japanese.